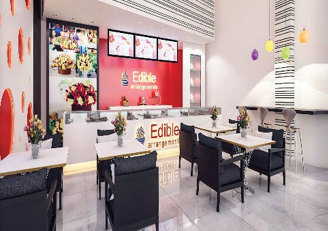 With more than 1,300 franchise locations open or under development worldwide, Edible Arrangements® is the world's largest franchisor of shops offering creatively designed fresh cut fruit arrangements. 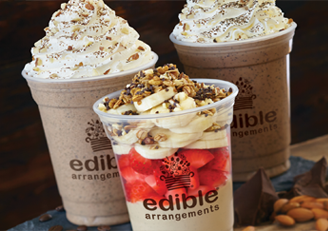 Edible Arrangements store locations also carry the company's rapidly expanding Edible To Go® line which features all-natural, fresh fruit smoothies, chocolate Dipped Fruit™, Froyo Fruit Blends™, fresh fruit salads, sundaes, parfaits, and treats. Since its founding in 1999 in East Haven, Conn., the company has been recognized as an industry leader, ranking first in its category in Entrepreneur Magazine's annual "Franchise 500," Entrepreneur's Top 40 of "Fastest Growing Franchises" and "America's Top Global Franchises." Edible Arrangements has also been included on the "Inc. 5000" list of the fastest growing privately held companies. 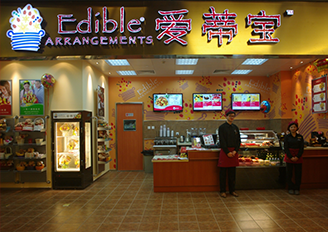 Edible Arrangements® International growth strategy prioritizes select markets in which we wish to develop today, and secondary markets where we believe we have future potential. If you are interested in any of the markets below, please complete the Request Information form. If you're interested in a market that is not listed, please check back periodically as we do update market priorities. *PLEASE FILL OUT THE BELOW INFORMATION TO LET US KNOW WHERE YOU'RE INTERESTED IN OPENING A STORE. What made you decide to contact us today? By Clicking 'SUBMIT', you are agreeing to Edible Arrangements® TERMS & CONDITIONS. Please note that this is not an employment opportunity. For employment inquiries, please contact your local Edible Arrangements® store. An Edible Arrangements® representative will contact you shortly. © 2009-2015 Edible Arrangements, LLC. All rights reserved.